After the invention of daguerrotype, the memorializing habits of people have changed: they've chosen the cheap, higher quality photographs instead of expensive and not so lifelike paintings. 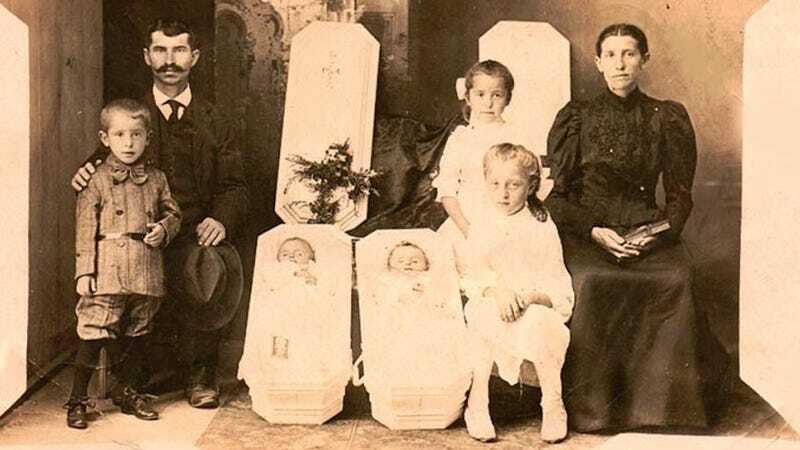 Painting dead people was common for centuries, so it's no surprise that, in the Victorian Era, post-mortem photos also came into fashion. Here are some of the strangest ones. Because of the high childhood and infant mortality rate, this was a significant way to memorializing lost family members. In some cases, this was the only photograph that depicted the entire family together. King Ludwig II of Bavaria – the true Wagnerian hero. But how do these bodies stand?